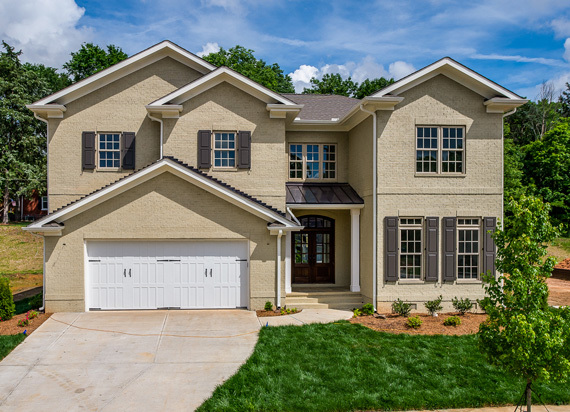 The homes of Ashton Ridge, designed by Charlotte In-Vironments, embody the elegance and style of the southern traditional home modernized for the sleek and casual lifestyle of today’s family living. Inspiration came from the collaborative mix of colonial and cottage style architecture to deliver nostalgia in a fresh new way. Brimming with details, the painted brick exteriors are adorned with wood shutters, round Tuscan columns and decorative trim. Each home is book-ended with a front and rear porch knitting together a quaint neighborhood feel so close to the big city. 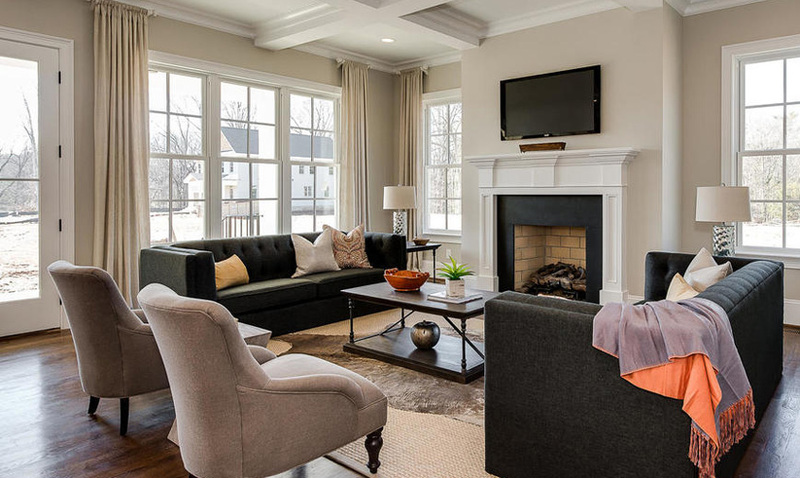 From the moment you enter the front door, the high ceilings and open living spaces draw you in to admire the symphony of finishes, including durable stone counter tops, high end appliances, elegant fixtures, beautifully trimmed walls and warm hardwood floors. 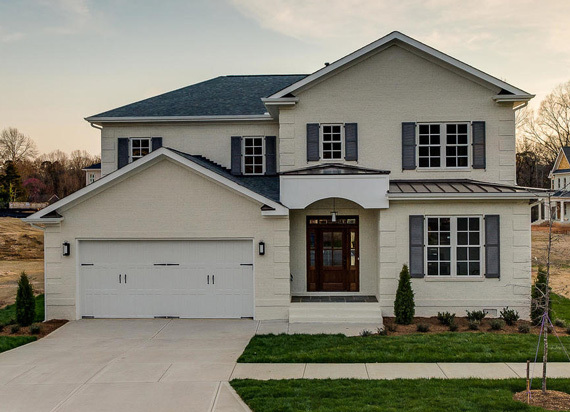 Ashton Ridge homes are designed to last and maintain their classical style for years to come. Each home and floor plan has been custom designed for today’s buyer with floorplans offering a master up or down. Quiet neighborhood yet close to major arteries such as: I485 and Pineville Matthews Highway. Designated schools include: Old Providence Elementary, Carmel Middle School and Myers Park High School. Minutes from multiple private schools. 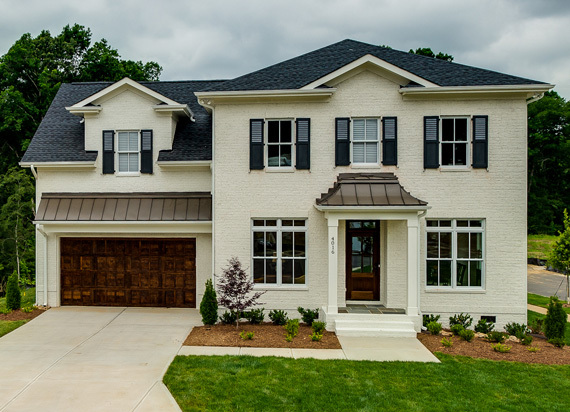 Ashton Ridge is conveniently located with easy access to I 485. 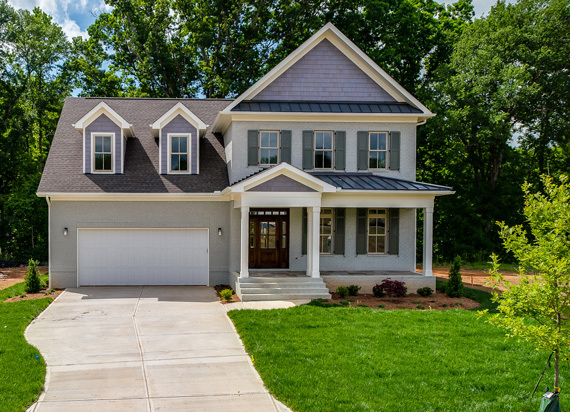 The community is approximately 20 minutes from uptown and the Charlotte Douglas International Airport. It is a short drive from Southpark, the Arboretum, and The Ballantyne Business district. It is also within close proximity to many of Charlotte’s finest shopping, restaurants and medical facilities. 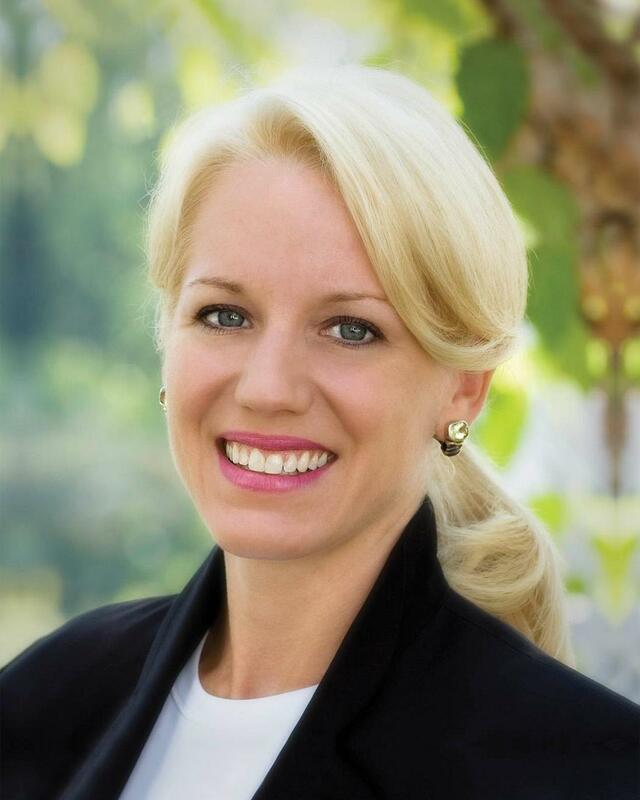 Schedule a visit with our realtor Susan May to tour one of our model homes.